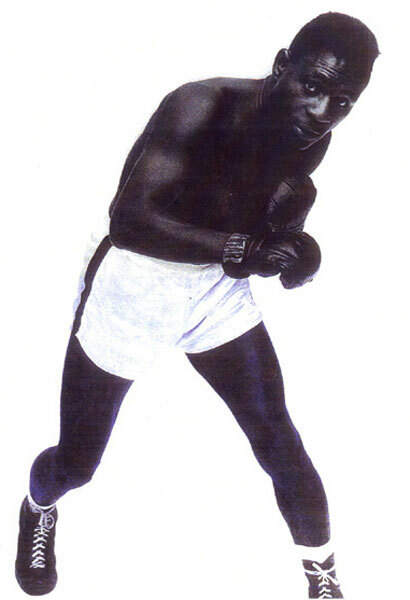 George Benton won his 6th straight professional bout on this day in 1950. His opponent was Bucky Slocum, who he out boxed over six rounds. In his long and impressive ring career Benton compiled a record of 61-13-1 with 36 KOs against many top opponents including Holly Mims, Henry Hank, Hurricane Carter, Jimmy Ellis, Luis Rodriguez & Bennie Briscoe. Without question, Benton's finest victory came against Joey Giardello in 1962. The fight pitted two of the best-schooled, most experienced and toughest ring thinkers in the game. The bout was close and hard-fought, but Benton left with the unanimous decision. Never a champion himself, Benton went on to a Hall of Fame career as a boxing trainer after his fighting days were over. He guided numerous world champions including Pernell Whitaker, Meldrick Taylor, Evander Holyfield, Johnny Bumphus, and Rocky Lockridge.